UK car production rose 21.3% in April to 133,437 units, the biggest monthly rise since July 2012. Year-to-date volumes increased 6.9%, with January-April exports up 8.7%. Full-scale production of new models boosts output at car plants nationwide. 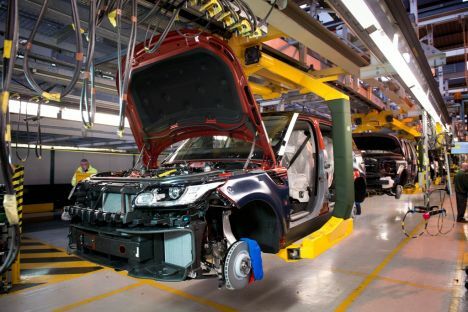 "The thriving nature of the UK car manufacturing industry was evident in April as output grew at its highest rate for almost two years," said Mike Hawes, SMMT Chief Executive. "New model introductions are fuelling growth, while Europe – which currently accounts for around half of exports – is now seeing an upturn in demand. As investments continue to be realised, we expect further rises in the coming months; good news for the thousands of suppliers and employees across the country that rely on this industry."